Dash cams come in handy and cover a number of purposes. They can help you keep records of your drive through the countryside or serve as witnesses when there are incidents of a car crash or even reporting a storm. Unlike other cameras, the dash cam is built to always take records of events the moment it is connected to a source of power. So you don't need to worry about turning on your camera as it will automatically start recording when you start your car. In addition, some dashcams have inbuilt batteries that will keep it running for some time even after the source of power is cut off. So you can still grab the footage of an event while your car was parked. With the increase in the quality of these dash cams and the reduction in their price, more drivers are subscribing to it. This is the basic step towards installing a dash cam as the entire process will be a waste of time if you get it wrong here. Most dash cams have very big coverage area but putting your dash cam in the right spot will help you get the perfect view. If I were to suggest, I would suggest that you choose behind your rearview mirror or the spot vertically opposite it. The main thing is that you place your dash cam at a spot that helps it capture the action without obstructing your view while driving. Do not just place the dash cam and leave the cables hanging especially if you pick a spot at the upper side of your windshield. Driving needs a high level of concentration and the time taken in removing the wires from your line of view in the incident of obstruction could make the difference between life and death. The best way to deal with the cable is to carefully tuck it into the headliner at the top of the windshield, and run it down the passenger side A-pillar, then under the console to the USB port, so it’s out-of-the-way and mostly invisible. You can tuck your wires away easily by raising the rubber trim on the A-pillar of your vehicle you reveal a gap where you can tuck it in. You can use adhesives when you want to permanently install the dash cam. You can also use rubber clips to hold them in place if you have plans to change the position or you are trying a new position to see if it has a better angle for capturing events as they happen. If you are keeping your dashboard camera on the outside of your vehicle, then you can overlook this point. However, it is not good to install a dash cam and place it outside your vehicle. It could be damaged easily or even stolen. 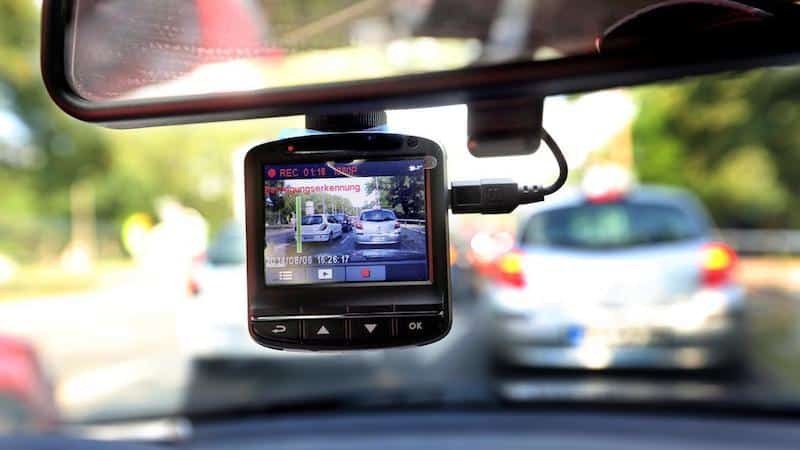 If you are installing your dash cam inside of your vehicle, then you have to ensure that your windshield is clean or you stand the risk of recording poor footage. Besides that, having a dirty or blurry windshield is not ideal. If you are an expert then you can wire your dash cam to the fuse box of your vehicle. The fuse box is usually located under the dashboard of the passenger side of the vehicle. If you are an amateur at installing a dash cam then save yourself the trouble and use your cigarette lighter to power it. The fuse box of cars are full of wires and tampering with any of those wires wrongly could send your car to the mechanic sooner rather than later. Even professionals do this as it is one reason they are called professionals. You too as an amateur should make sure you test it to see if it is actually working, if it is well placed and so on. You can reposition it if it is not within your reach or not having maximum coverage area. It is also advisable that you install your dash cam within reach while ensuring that it does not block your view. You should also understand the camera before you buy it as most cameras vary in quality, area of coverage and so on.